CBD is a member of a group of chemical compounds called cannabinoids, which are found in the resin glands (trichomes) of the cannabis/hemp plant. Particular species of hemp are grown to be high in CBD. CBD modulates a network of cell receptors in the body called the Endocannabinoid System. This system has two known types of receptors; CB1 and CB2. CB1 receptors are mainly concentrated in the Central Nervous System, which influences most functions of the body and mind, including mood, appetite, pain, and sleep. CB2 receptors are found in high densities on cells which are involved in the immune system, which regulates inflammation and protects against disease. Will CBD cure chronic pain/anxiety/medical condition? By EU law, CBD oil is regulated as a food supplement in Ireland. Food supplements exist to add substances with a nutritional or physiological benefit to a normal diet. 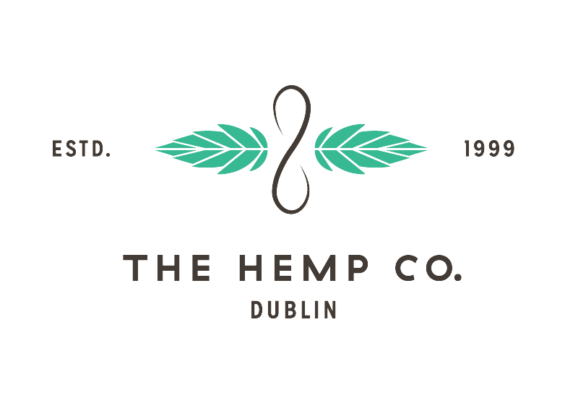 The Hemp Company does not have the authority to make medical claims about the benefits of CBD oil. Through anecdotal testimony, we know that many people have found CBD useful for various problems, and we encourage customers to do their own research to learn about the potential uses of CBD before purchasing. CBD is non-psychoactive, meaning it does not affect perception, mood or consciousness. The immediate effects are subtle, but most people report a sense of calm and relaxation. Which CBD oil is the best value for money? Comparing the oils by how many milligrams per euro (mg/€) they contain, the best value for money is our own brand The Hemp Company CBD Oil (€30) which has 26.66 mg/€. Once again, the milligrams of CBD is not the only factor. How well the CBD is absorbed into the body, the bioavailability, is also important. Which CBD oil has the best bioavailability? Everyone is different, therefore how well a particular oil works for each individual can vary from case to case. Brands such as The Hemp Company CBD Oil, MediHemp and Palmetto Harmony have an excellent reputation and their oils are very well made. It is important for each customer to experiment and figure out which product suits their needs and body best. We recommend beginning on a low dosage since it makes economic sense not to overuse or overspend when testing out CBD oil. In general, anywhere in the range of 2.5mg – 20mg per day would be a standard dosage. The general rule of thumb is: start small and increase as needed.